3 Reasons Marrone Bio Keeps Growing and Growing! 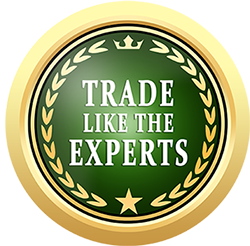 Marrone Bio Innovations (MBII, NASDAQ) Is Making Its Move! 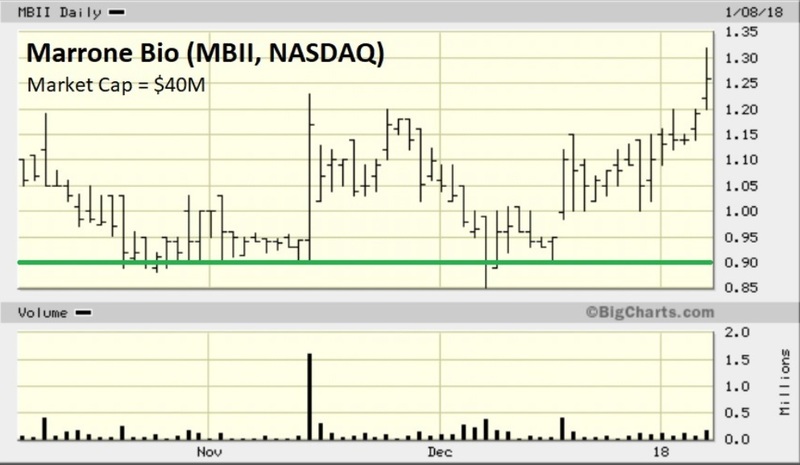 Regarding “volume preceding price”, this MBII chart makes for another great example. Look how the stock comes back to kiss that 90-cent support line following a gap higher on volume the month before. Just lovely, isn’t it? Now that MBII has shaken out the weak hands, a strong floor is in place and I suspect that floor will support much higher prices in 2018. 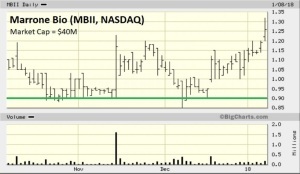 A close above $1.25 would represent a 6-month breakout for MBII. After that there’s minor resistance at $1.50 and $2. 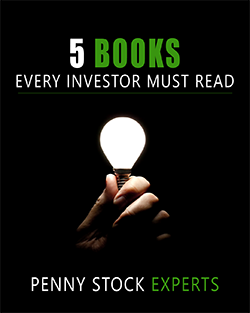 With the wind at its back, this is the type of stock that could fly toward $4 in a hurry. 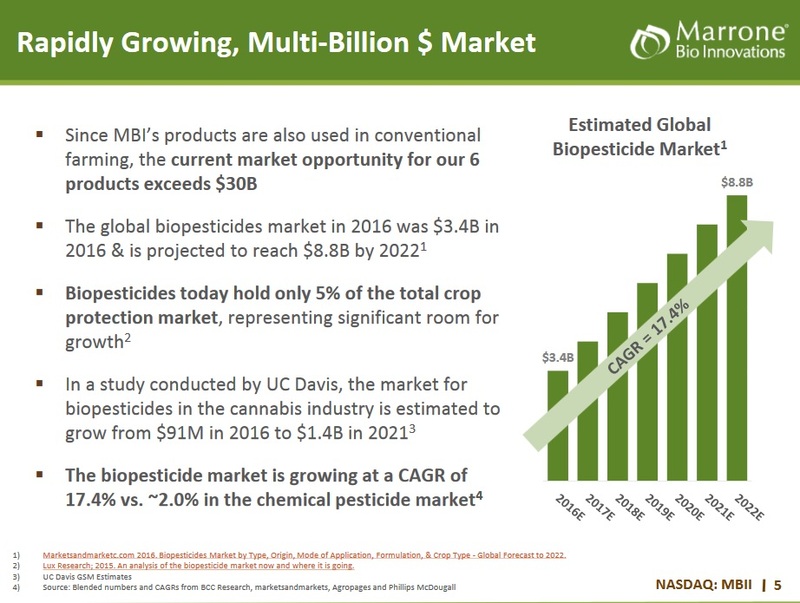 3 Reasons Marrone Bio Should Keep Growing Higher! Debt was a real concern for Marrone Bio, bankruptcy wasn’t out of the realm of possibilities – but that was then. On December 18 the company concluded a comprehensive financing and debt restructuring transaction. Lenders converted $35 million worth of notes into stock at $1.75 per share. Marrone Bio’s financial position has taken a 180 degree turn over the past month. Marijuana! Government’s across the land are legalizing it, and given the deficits they’re running I don’t see that trend changing, only quickening. California is the most recent, and CEO Pam Marrone has helped numerous states, such as California, craft guidelines on what pesticides and fertilizers are safe for growers to be using. Organic! It’s all about organic food (and organic marijuana). And you can’t label a food product “organic” unless it’s been grown without chemicals. 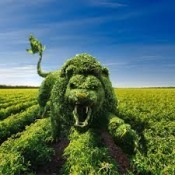 Marrone Bio is an emerging supplier of non-chemical pesticides and fertilizers. 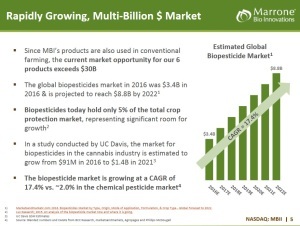 Here’s a powerful illustration showing why many people may prefer being in the “biopesticides” business as opposed to the agricultural chemicals business over the coming years. Restructuring matters, converting debt into equity was a huge positive for Marrone Bio (and a huge vote of confidence by the lenders!). MBII is heading a lot higher from here.